On Saturday evening at OneSpark in downtown Jacksonville I heard some amazing turntablism coming from one of the 65 venues at the OneSpark crowdfunding and creators festival. 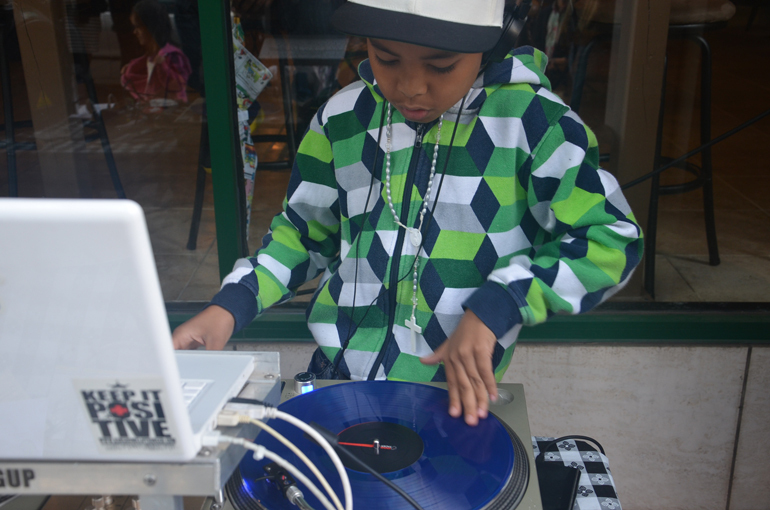 I went down the street to check it out and was amazed to find 10 year old DJ Mercy on the 1’s and 2’s cutting and scratching to 90’s hip hop. This kid was totally amazing and authentic. You hear about child prodigy’s all the time who take up the piano or the violin, this kid has an incredible knack for the turntable. Someone should put DJ Mercy together with Kid President, that would be something epic to dance to. 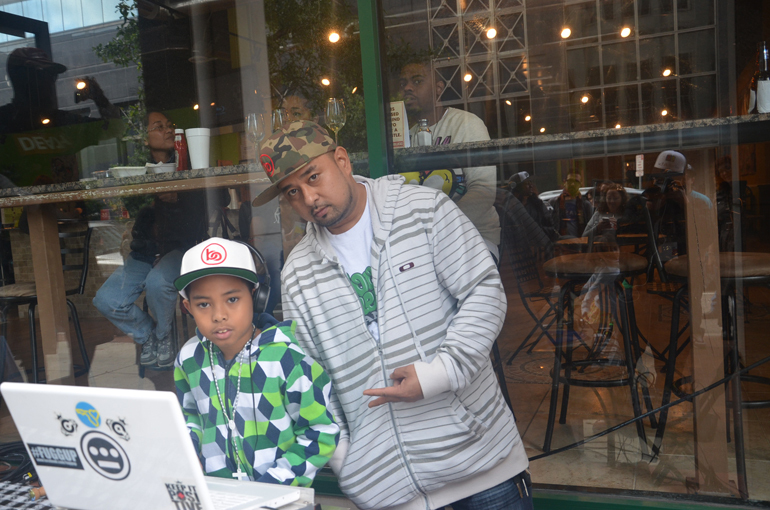 His father is Jacksonville DJ shotgun and says his son his been practicing on the wheels of steel since he can remember. DJ Mercy plays out all the time and is part of a monthly arts walk in downtown Jacksonville as part of the Lyricist hour a showcase put together by Jacksonville native Mal Jones. Check out this amazing kid in the video below, and then spread it and share it. More amazing OneSpark awesomeness can be found here at nibletz.com.